Appliance Repair Teaneck is highly respected for our quick and accurate washing machine repair in Teaneck, New Jersey. Our certified technicians are trained to make a fast and accurate diagnosis on washers of all make and model. We are well known for our service call scheduling flexibility. If you need us to come out during the evening we can do it. If a weekend appointment is better for you we can do that to. We will even come out on a holiday to get your appliance up and running again. Our commitment to the highest standards of excellence has made us one of the most popular washer service providers in the area. 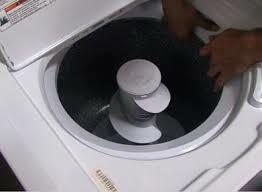 You can call for our washing machine repair service 24/7. From the moment we first opened our doors for business we have always made washer repair our number one priority. Our qualified specialists will respond the same day to provide cost effective answers to your washing machine problems. Most laundry room appliances are built tough, but even the best unit can experience the need for repair from time to time. One of the most common needs for repair is a bad seal that causes the unit to leak. Belts will sometimes break and water pumps go bad too. Couplers are normally made of rubber or plastic and will often give out in short time. The washer motor can also experience issues. Regardless of what the problem is our washing machine technician has the experience, knowledge and polished skills to solve the problem in a hurry. We make certain that all of our service vehicles are stocked with any washer part a technician might need to repair a washing machine. When you need a qualified technician to provide repair, maintenance or washer installation service; make sure to choose Teaneck Appliance Repair for the job. We guarantee customer satisfaction and nobody can beat the professional results we provide.